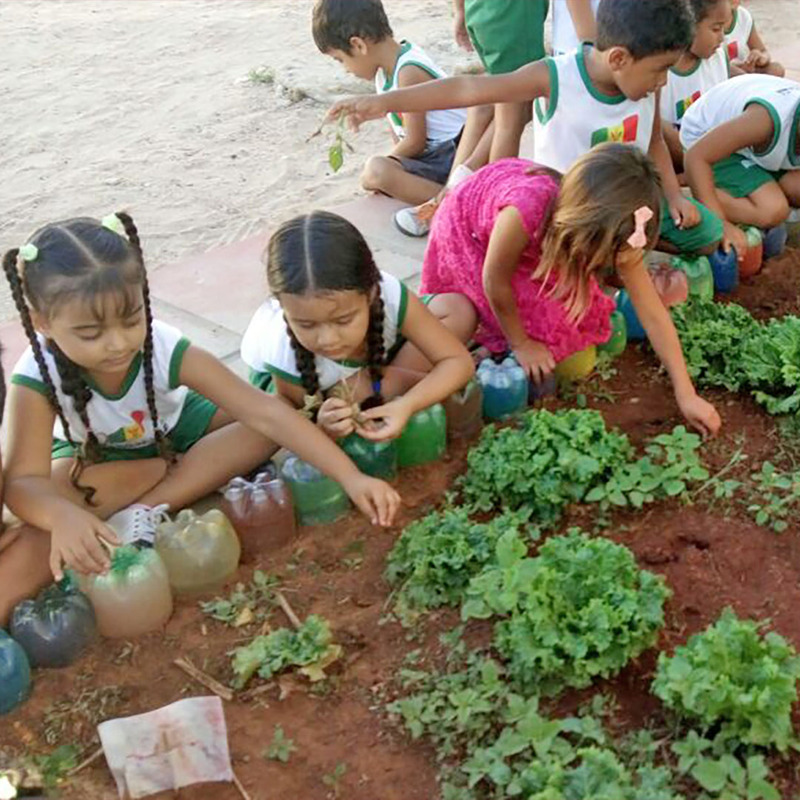 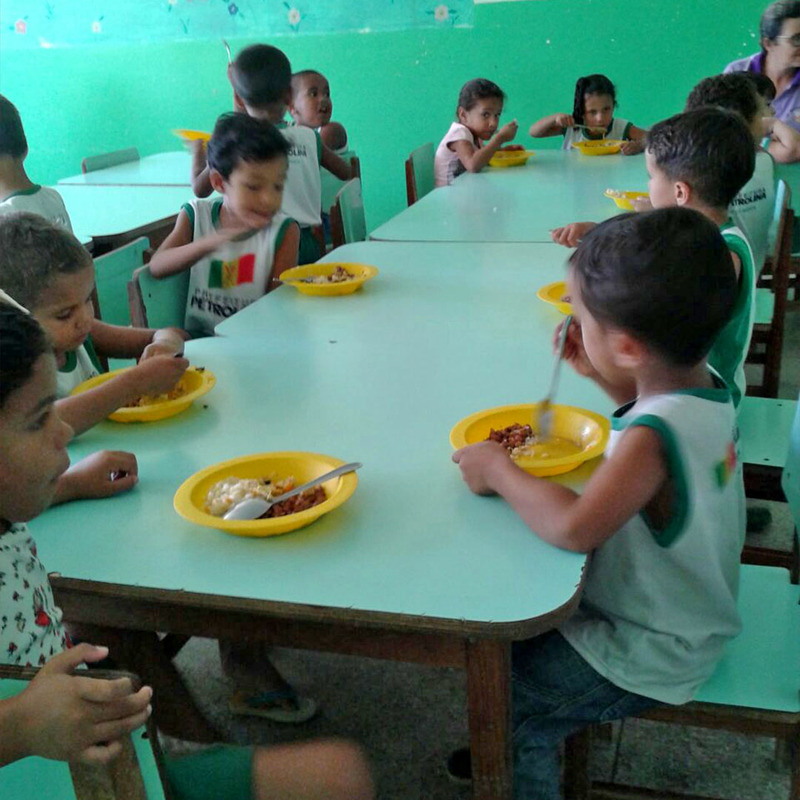 Check out our Harvest Day at the Maria Teresa Brennand Coelho preschool in Petrolina, Brazil. 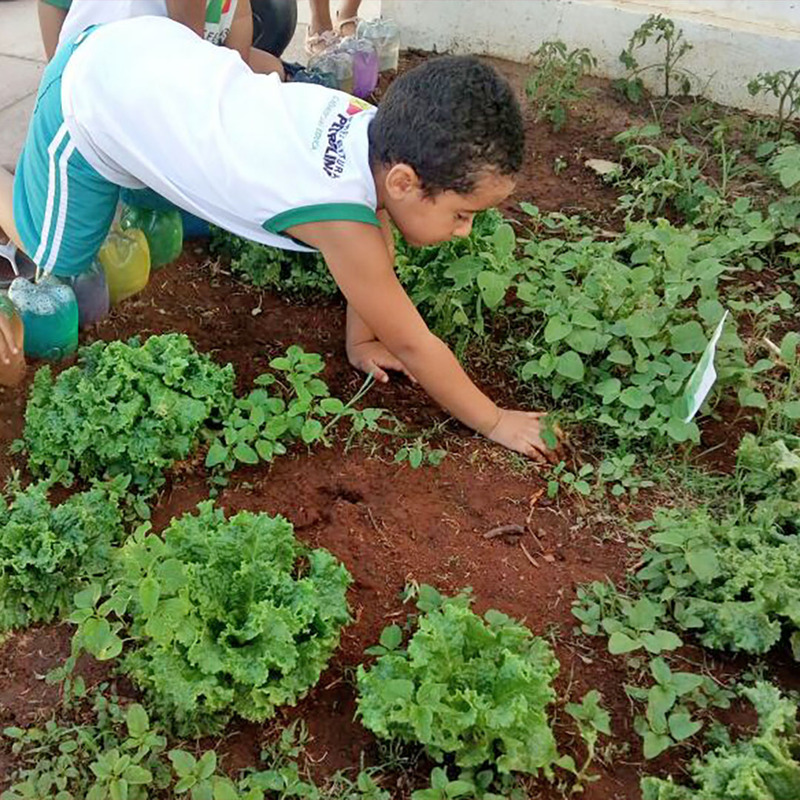 These four-year-olds gathered chives, coriander and lettuce from the school garden they planted last fall as part of INMED’s Crescer Saudavel (Growing Healthy) program with the Monsanto Fund. 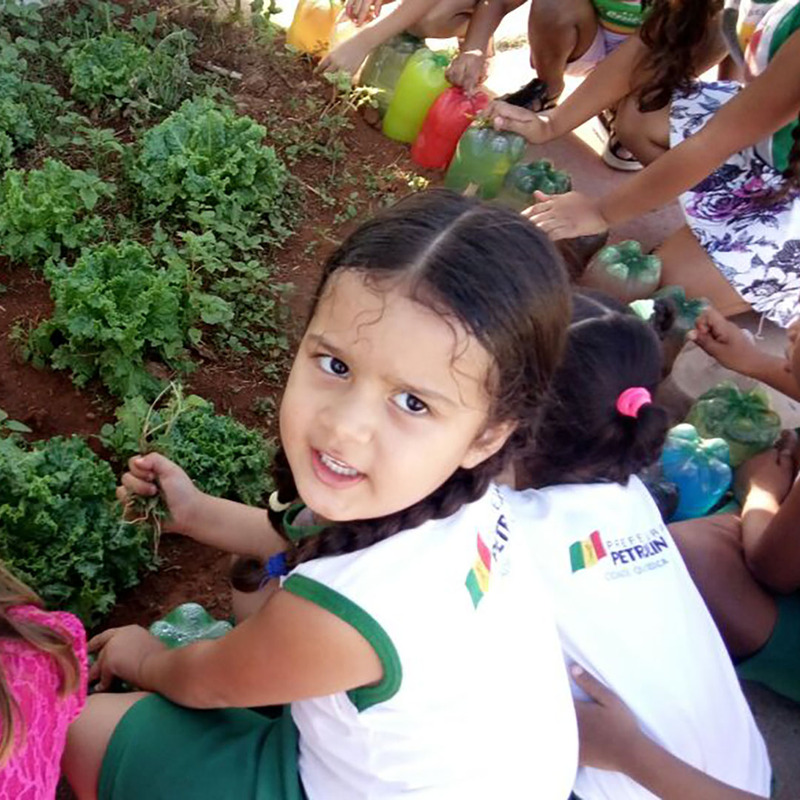 During the harvest activity, students learned how to care for a garden and the importance of eating fresh and healthy produce. 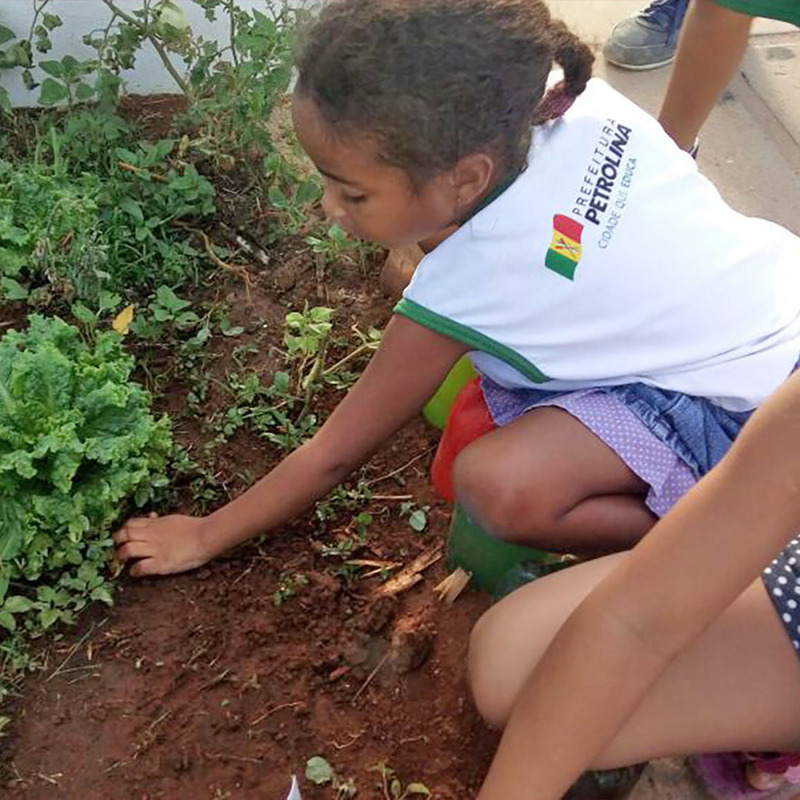 The herbs and lettuce were incorporated into their school meal, and the children were encouraged to share what they learned with their families with take-home materials. 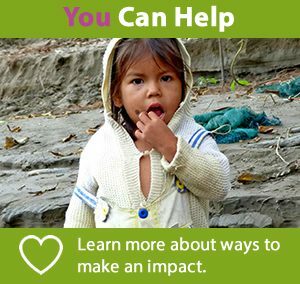 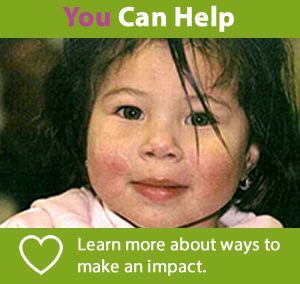 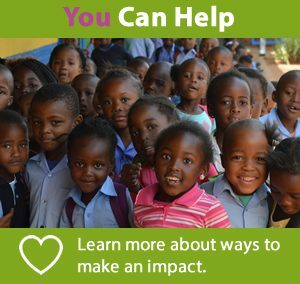 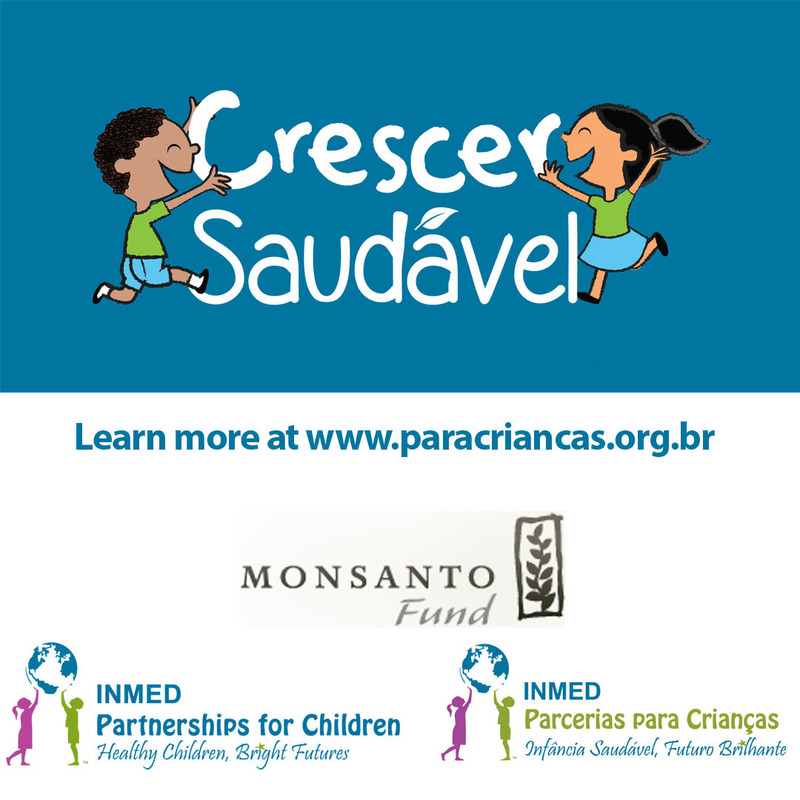 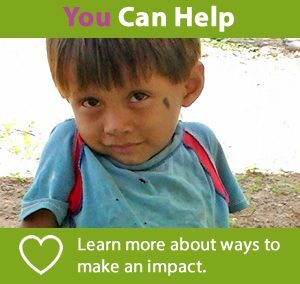 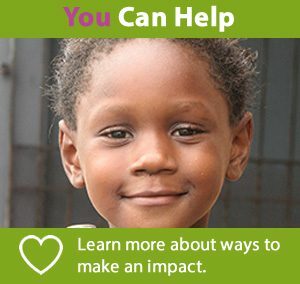 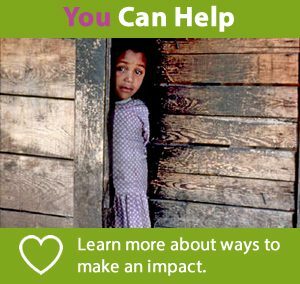 Crescer Saudavel is facilitated by INMED affiliate Parcerias Internacionais Para Crianças (International Partnerships for Children) or Para Crianças for short. 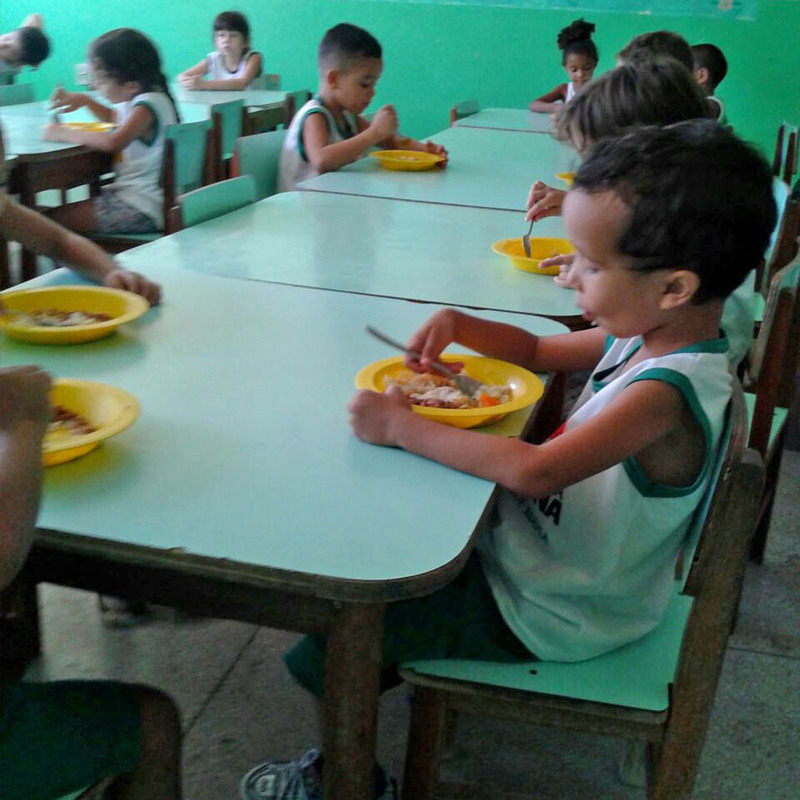 Learn more about INMED’s programs in Brazil at www.paracriancas.org.br or https://inmed.org/where-we-work/Brazil.